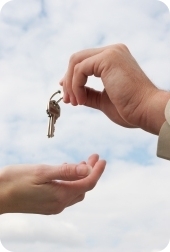 In real estate transactions, the services of a conveyancing solicitor are very important. 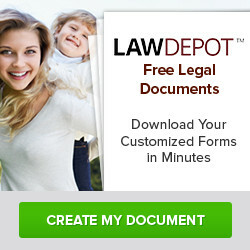 They can handle legal transactions for both commercial and residential or private properties. The conveyancing solicitor can make the transactions hassle and stress-free for the client. Some of the transactions involved in private or residential properties may include the selling or purchasing of a house, concerns regarding mortgages, transfer of deeds or matrimonial transfers. These transactions usually entail legal documents with all the provisions and agreements which are actually the conditions of the sale or transfer of properties and the likes. With the services of the conveyancing solicitor it is possible to make the deal as straightforward as possible. If the proper procedure is followed, then the conveyancing solicitor will make sure that buyer will actually have the rights to the property he paid for. These properties may be in the form of a structure or the land or the rights to such. The conveyancing solicitor usually works on the acquisition of the deeds of the property. If these are still with the mortgage company, then he will deal with the representatives of said office. He also makes it possible to have the inventory of the property and its contents plus fixtures. The inventory data will be used by the seller as a guide in the determination of the price and for the buyer, the information will tell him what he is getting out of the deal. There are those who even arrange the payment procedure of the mortgage and other financial transactions on behalf of the client. On the other hand, legal services involved in commercial conveyancing may include but not limit itself to the purchase and sales of the commercial properties, drawing of the contract of lease for tenants and the implementation or conduct of such contracts. The conveyancing solicitor also intercedes in cases of a dispute between the landlord and the tenants. Most commercial establishments frequently use the services of a conveyancing solicitor. Thus instead of just having the legal consultation with the solicitor as the need arises, some of these establishments contract a conveyancing solicitor as their retainer or legal adviser. In both private / residential and commercial conveyancing, both parties have to agree to certain conditions which will then be included in the contract or other legal documents. Then a date of the completion of the transactions will be decided upon and usually in the presence of the conveyancing solicitor, the contracts are signed. In the choice of this type of transactions the client has to have a high level of trust for the conveyancing solicitor. It is also important that in the duration of all the transactions conducted, there will be a constant updating for the client to keep track of what is happening in the different phases of the process. It would also be an advantage if access to the conveyancing solicitor is easy. The clients might have some queries which need to be answered immediately or concerns which have to addressed by the solicitor himself thus easy access has to be in place.